People queued outside the Oxfam bookshop on Wanstead High Street on Saturday morning, anticipating the 10am opening of what, according to reliable sources, is believed to be Wanstead’s first bookshop in at least 50 years. Thanks to Mark Appiah and shop manager Jillian White. 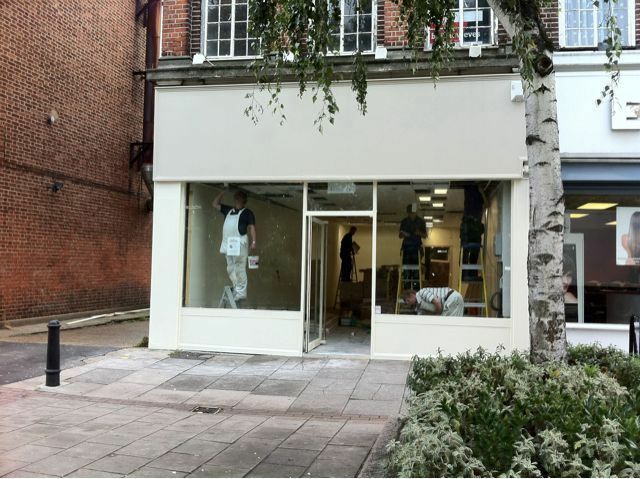 With the opening of Wanstead’s Oxfam bookshop imminent, work is proceeding apace to get the former travel agents ready. A shop manager has been appointed, and 30 people have volunteered to help run the shop. Oxfam area manager Mark Appiah told Wansteadium they still needed another 10 people to join the rota; anyone interested can call him on 07717 541321. Wansteadium can reveal that after years of waiting, Wanstead is to get its own bookshop. OK, it’s a charity shop, and will sell second hand books, but nevertheless the news could give Wanstead High Street the boost it has been needing. 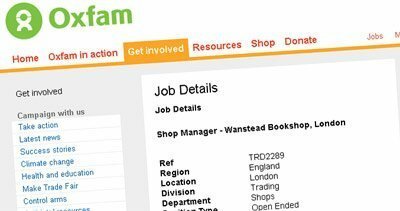 Oxfam is advertising for a shop manager for its new Wanstead Bookshop – clearly one of the charity’s specialist bookshops rather than a general charity shop – at a salary of Â£16,170 plus Â£2,030 London weighting. Job applications are open until 16 August. It is not yet clear where the new shop is to be sited, but there are various empty premises which would be ideal, including the former Horsfall and Wright, the vacant Jenningsbet shop, or even the new shops in the former Cuckfield Garage. It’s probably too far-fetched to imagine them wanting to occupy the now closed Andrews’ Builder’s Merchant building, romantic as that might seem. According to the Bookseller magazine, which has described Oxfam as “the Tesco of the second-hand book business”, it is now the third biggest bookseller in the UK, selling 12 million books a year and making around Â£20m in profit. It has 130 specialist second-hand shops; sales grew 7% in 2009. The shops are not without controversy, though, especially when they have opened near existing bookshops. As charity shops they only have to pay 20% of the business rate that other bookshops would have to find, and of course generally rely on volunteers to run it and are selling donated stock. But with the nearest bookshops being the Living Oasis Christian bookshop in South Woodford and the Woodford Green Village Bookshop a 10-minute drive away, there are not likely to be many opponents of this news.